MADISON - This morning, the Wall Street Journal reported that Foxconn is now considering bringing in Chinese workers to staff their plant in Wisconsin. It's the latest example of Scott Walker failing to force Foxconn to keep their end of the bargain. As Walker makes his final stops around the state, he should be asked about this troubling news surrounding one of the pillars of his reelection campaign. 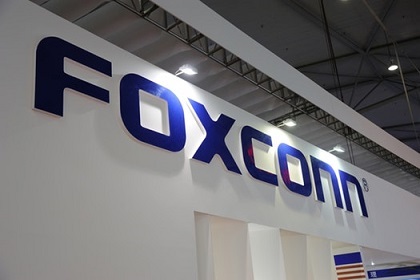 MOUNT PLEASANT, Wis.— Foxconn Technology 2354 0.15% Group is considering bringing in personnel from China to help staff a large facility under construction in southern Wisconsin as it struggles to find engineers and other workers in one of the tightest labor markets in the U.S. 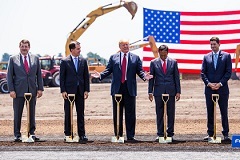 There are a large number of global manufacturers based in Wisconsin, including Oshkosh Corp. , Briggs & Stratton Corp. andHarley-Davidson Inc. Other international firms, including an arm of Japanese heavy-equipment manufacturer Komatsu Ltd. and German candy-maker Haribo GmbH, are building facilities in the state.